The Rescue was designed with six 6,000 psi air bottles for its on-board cascade, a 40 kW pto driven generator powering a 220 volt plasma cutter, electric Amkus tool hydraulic pump, roof mounted command lights, and power the office areas two laptops, fax-printer-copier, and a variety of charging units for battery operated devices. 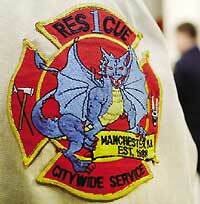 It is staffed by 4 technical rescue/hazmat technicians per shift. 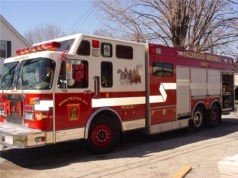 A 1997 heavy rescue built on a Spartan chassis by 4Guys. It replaced the previous rescue, which is now the Air Unit. Air Unit was used as a Temp Rescue while we wait for the new one...but now it is back on the "HILL"